Thousands of beautiful canines will gather at Sydney Olympic Park from March 23 to April 3 to compete for Best in Show at the Sydney Royal Dog Show - the biggest and most prestigious canine competition in the country! A tail-wagging highlight of the Sydney Royal Easter Show! Sponsored this year by ADVANCE™, the Sydney Royal Dog Show is supported by Dogs NSW, the controlling body of pure bred dog breeding and exhibiting in NSW. It is a popular part of the Sydney Royal Easter Show, which is the largest event in the Southern Hemisphere organised by the Royal Agricultural Society of NSW. “The ADVANCE™ Sydney Royal Dog Show is expected to attract thousands of entries across Conformation, Agility, Obedience, Junior Handling and Sweepstakes classes during the 12 days of competition – all vying to be crowned best in their breed and discipline,” said Brian Crump, Dogs NSW spokesperson. 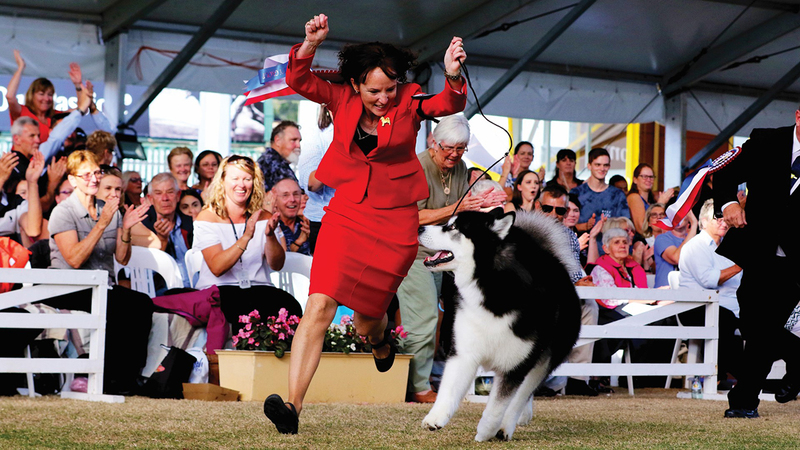 The show showcases excellence in the dog world, setting the competitive benchmark for canine competitions nationally. 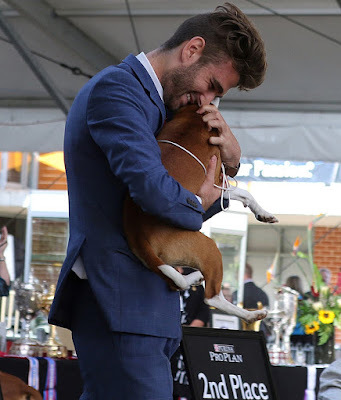 “The show also recognises the important role of Australian National Kennel Council - registered breeders in developing quality, sound, healthy puppies for Australian families, and promotes public understanding of the place of domestic animals in our community,” he said. “Given the ongoing demand for puppies, public education about choosing a pure breed suitable for their lifestyle and finding a responsible ANKC-registered breeder are paramount in stamping out irresponsible dog breeders and keeping dogs out of shelters and in homes where they belong,” said Mr Crump. Showbags and daily competitions for everybody and their dog! Dogs NSW Information Stand will be selling showbags packed with goodies for dogs and their humans. The showbags are selling for $15.00. Dogs NSW Showbag Sponsors are No Vac, Bayer, Champet and Bow Wow Meow Pet Insurance. Dogs NSW is also running a competition with a tail-wagging hamper valued at $400 to be won every day for 12 days! Only $2 to enter or 3 entries for $5. Dogs NSW will once again sponsor the Breeders Group in Show and Most Informative and Best Display for the Breed Stall, which will be presented at the show on April 2 and 3. Dogs NSW has over 9,000 members, with over 300 affiliated breed and kennel clubs throughout NSW. More than 50 of these affiliated clubs conduct dog training classes as a community service in local government areas, normally on a weekly basis. Dogs NSW is a member body of the Australian National Kennel Council (ANKC).